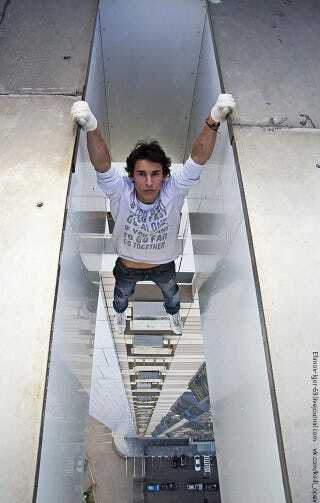 Kirill Oreshkin doesn't appear to have any fear or vertigo. That or he's the craziest of the craziest Russians who climb—without any safety measures—to the top of buildings, cranes, towers or any other structure that guarantees that they would end like a flesh omelette if they make the tiniest mistake. His friend is pretty crazy too.